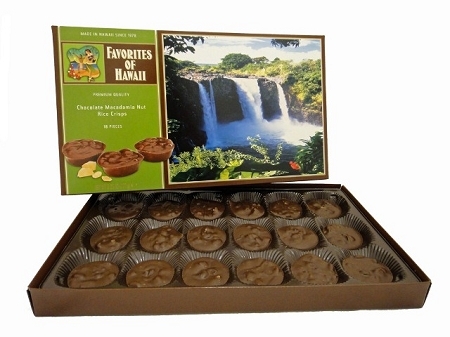 Made in Hawaii with 100% Hawaiian grown macadamia nuts from the Big Island. These clusters combine macadamia nuts and rice crisps in a sea of rich milk chocolate. Scenic shot is of Rainbow Falls located on the Big Island of Hawaii.